I have a standard MPi Cooper with the standard black plastic arches. From the factory no seals were fitted with these. Seals were added later for sportspack. I was advised that it may be best to fit the new ones back with seals regardless and they are pretty rough on the reverse. 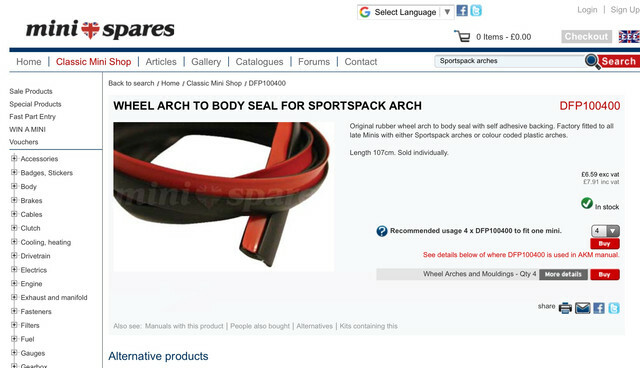 Will the sportspack seals work with the standard arch? Mine had the seals in the above post but front and rear. I pulled the flares off while hunting for rust but put them back on with these..
Did you reuse your original seals or buy new? The arch trim on mine isn't really a soft compressible trim like the universal ones, it's quite stiff and maybe even pre-shaped to the arch extensions. Finding more of it might prove to be tricky though! Mine only included the two side sill trims. Can't remember where I got mine from but it was from one of the ebay listed Mini shops, got a long roll of it. Did a great job. Edited by Pops_Guild, 12 February 2019 - 03:43 PM. 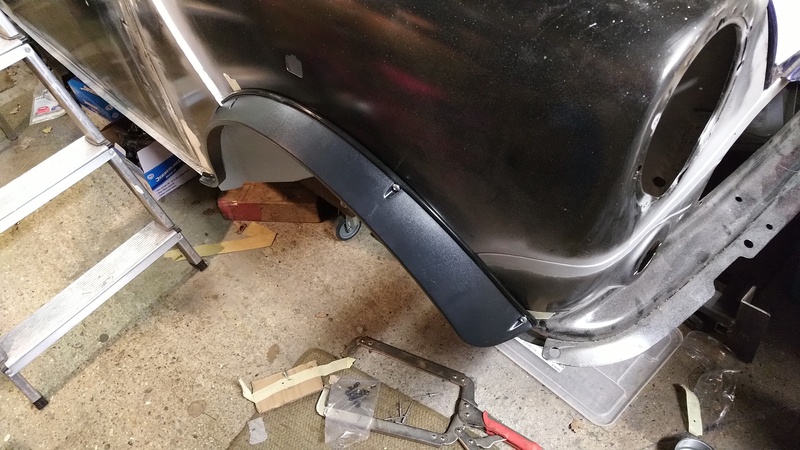 I've now found the o/e seals that should be fitted with the standard plastic arch extensions, available from DSN Classics, Rimmers etc ... despite numerous people telling me they don't exist! Edited by Bobbins, 19 February 2019 - 02:48 PM. Not the same product, that's for the Sportspack arches.